It’s been more than two years since we started this travel blog and looking back it was probably one of the best decisions we have ever made. First of all, it has enriched our travels. We have found that we experience places in a different way when we know that we will want to write about them later. Secondly, we have met and connected with a LOT of cool people through this blog. More than 150 000 readers, from 190 different countries, get their travel information from our blog every month. We get a lot of comments and emails from people who have used our blog to plan their trips. There is nothing cooler than getting to know other passionate travelers from all around the world. And last but not least, we now make a full-time income from this travel site. 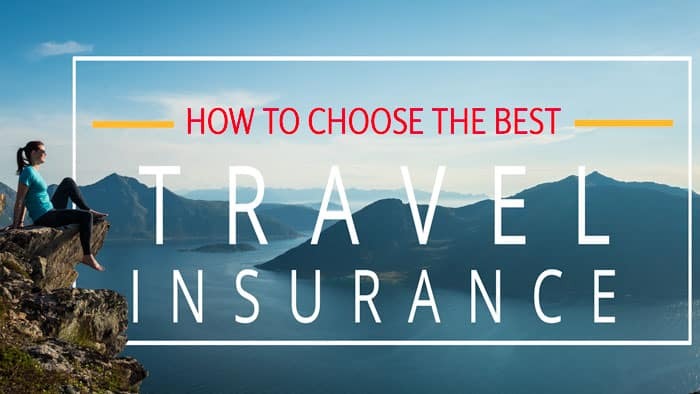 There is nothing wrong with starting a travel blog to keep your friends and family informed about your travels. That is how ours started too, and back then we did not know anything about how to make money while traveling. Later we met and got to know professional travel bloggers that were financing their travel lifestyle with their blog. And we learned that it is entirely possible to make money by travel blogging. Will it happen right away? No, it does take time and work, lots of work, but if you really want it, then you can make it happen. We are proof of that. In this article, I will show you how you can start your blog in about 30 minutes and for about $50. It might be the best $50 investment you have ever made. It sure was for us. So don’t hesitate. Let’s get started! Here are five easy steps to getting your blog up and running. None of them are hard or require any technical expertise. Follow along, and we should have your blog up and running in no time! 4. You have a blog! If you don’t already have a name in mind, spend some time thinking about what it should be. Find something that resonates with you but be careful not to choose something that will limit you later. “21yearoldbackpacker.com” will go out of date when you hit 22. And while you might be a backpacker now, your travel habits might change in a few years. What your blog is gone be about? Is it travel blog, a lifestyle blog, or a personal blog about you and your life? Is it about a city, a country or a general travel blog? Yep, we are guilty of breaking the last rule. A few years ago there weren’t quite as many travel blogs with Nomad in the name, but now it has become a bit of a cliche. Try to find something more original. Also be professional. Choose a name that professional brands will have no objection to being associated with. A novelty name might be fun now, but you will regret it later. Be smart. Once you have found your blog name, you are ready to get started. What you need is web hosting. A web host is a place on the internet where your blog lives. 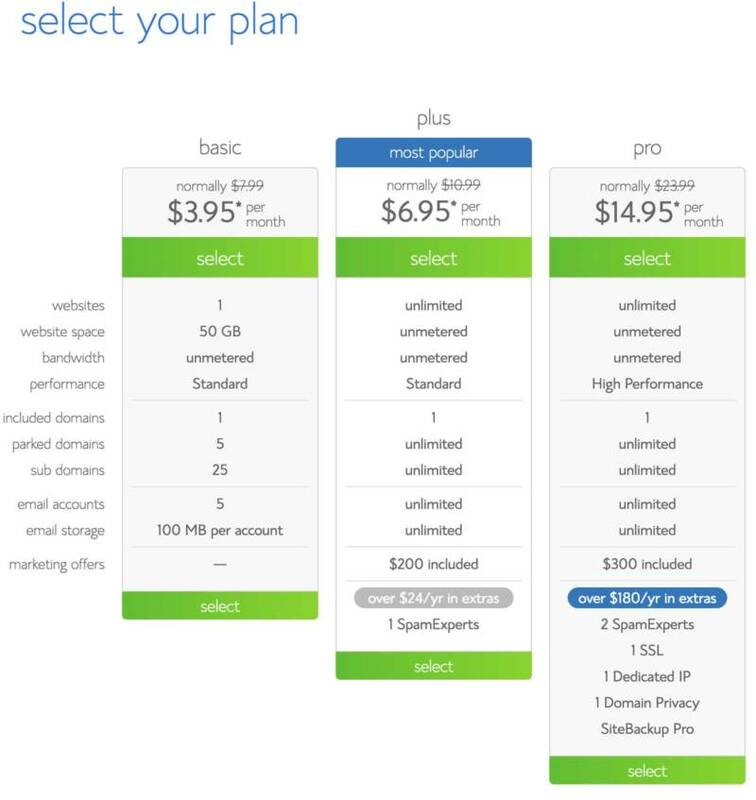 There are plenty of web hosting companies around offering to rent you space on their computers. There are premium web hosts like WPengine or Flywheel for those who need maximum speed and security. But they are expensive. They are excellent for sites getting a hundred thousand visitors, but when you are just starting out, I recommend going with something less expensive like Bluehost or Hostgator. I should mention that when looking around the web for reviews, you will come across bad reviews of any web host. It is human nature to complain, and no company is perfect. 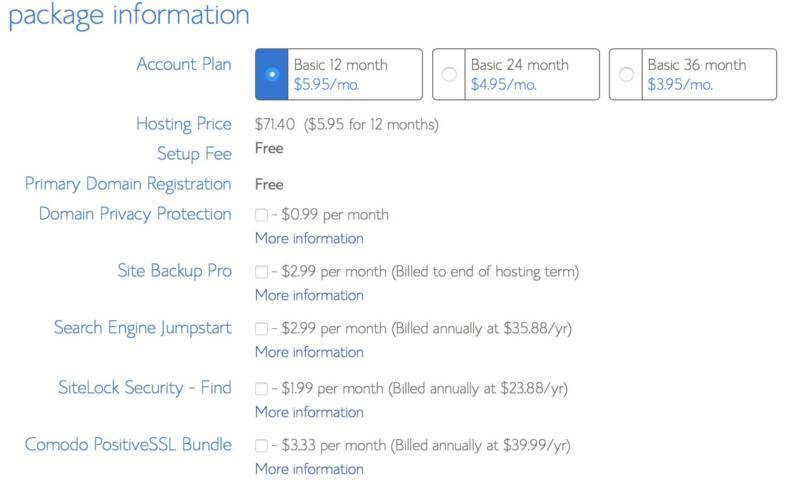 I have had good experiences with Bluehost, so, therefore, I recommend them. So head on over to Bluehost.com, and you will see the page below. 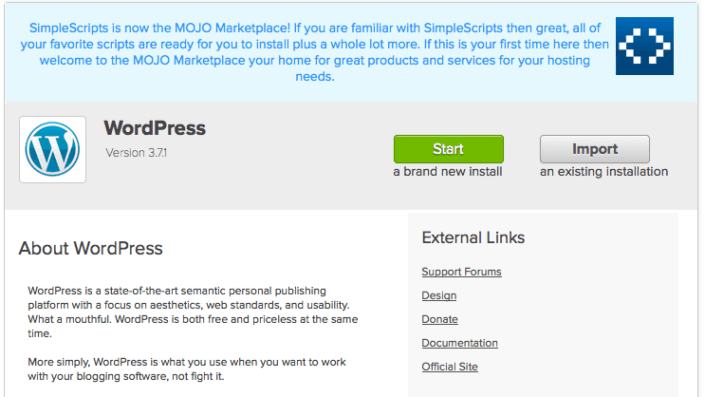 To start your blog, press the big green `get started now` button. Choose the ‘basic’ plan it is more than enough when you are just getting started. On the next screen, you enter your free domain name in the box on the left. If you already have a domain name that you have purchased from another domain registrar, then enter it in the box to the right. If your domain name is available, you can fill-in for your personal information. If your domain name is not available, keep trying variations until you find one you like that is available. You can uncheck all the add-on’s since you don’t need them. However, if you are not technical by nature, I would consider adding the Site Backup Pro for automatic backups of your blog. You can install free plugins that can do this for you, but it is nice to have the peace of mind of automatic backups. 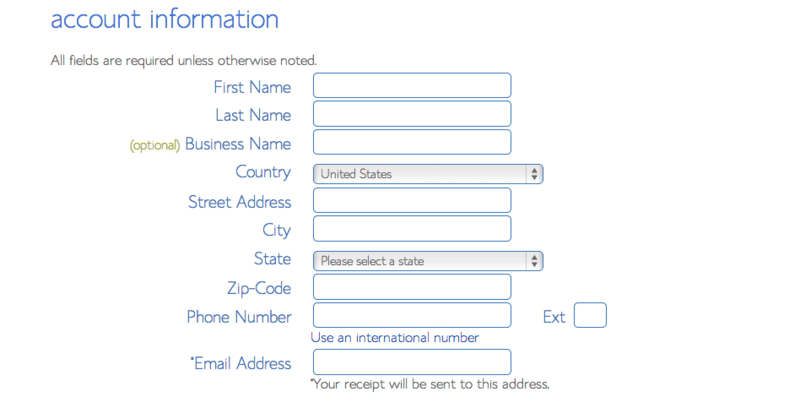 At the bottom of the page, you fill in your billing information, credit card number, etc. Once you have filled this out, you will be asked to create a password for your new website. Create the password, and memorize it. Good job so far. Now you have bought your blog name, and you have rented hosting for your website. Now we need to make it look more like a blog. And we will do that by installing WordPress. WordPress is the free software that will run your blog. WordPress is the most popular blog platform software in the world, and it is the platform we use on our blog. Thankfully installing WordPress at Bluehost.com is very easy! 1. 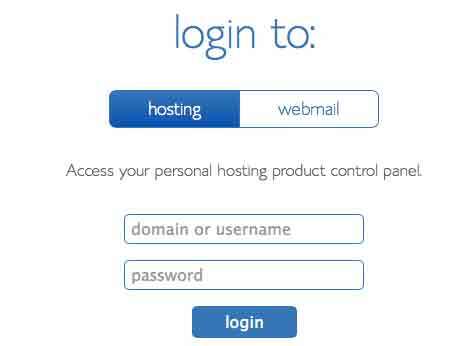 Log in with the username in the email, and the password you just created at the end of step 2 `Buy a domain name and web hosting package`. That will bring you directly to Bluehost’s Mojo Marketplace. 2. 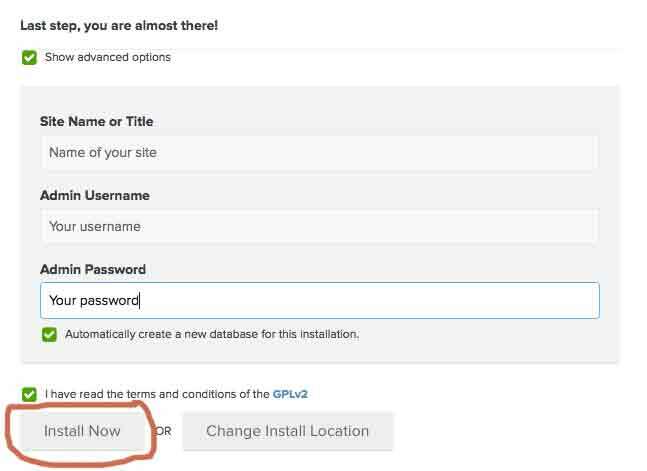 Scroll down and press the “Install WordPress” button. No need to do anything on the next window, just press the ´Check Domain´ button. Then the window below will show up. Check both boxes. The password you want to use to log into your blog. The username and password do not need to be the same as your Bluehost account username/ password, but for simplicity, you can use the same. Finally, press the ´Install Now´ button! After you hit the `Install Now´ button above, it will take a few minutes while everything is installed. Then it may take a few hours before your domain name is ready, and your blog is accessible to the world. Log in to the Admin Area: http://yourdomainname.com/wp-admin (using the WordPress username and password that you chose under `3. Install WordPress`). This is where you write posts and pages. Write a small test blog post, and see what it looks like on your blog: http://yourdomainname.com. When you first install WordPress, it will use its default look. You can change the way it looks by installing a different Theme. A Theme is a sort of skin that you can install under Appearance -> Themes in the menu in your Admin Area. A different theme can completely change how your blog looks to your readers, but your content will still be the same (your content will not be deleted if you change theme). There are literary thousands of WordPress themes out there! Many are free, and you can try them out until you find one you like. The downside of using free themes is that your blog design will not be unique since a lot of blogs use the same free themes. Your blog will have a hard time standing out from the crowd because so many others are using the same theme that you are. To help you stand out, you should buy a premium theme. A premium theme will have fewer users using the same theme. They also typically offer a lot more options for customization and much better support if you have any questions, or need help with anything. We use the Divi theme from Elegant Themes and love it. The unique thing about the Divi theme is its Pagebuilder. The Pagebuilder lets you design the pages of your blog using a simple drag-and-drop interface. It is an easy way to build a unique looking website that gets you noticed and is easy to use for your visitors. The very first blog post on Nerdnomads.com 🙂 One cool moment in time! When you have found a theme you like, install it on your WordPress blog and try it out. The theme will come with install instructions. See how you like working with it. Do you like its layout? Does it look good on both a big screen and on a mobile phone screen? Is it easy to work with? A. There are so many travel blogs out there. Isn’t it too late to start a travel blog? No, absolutely not! We heard that when we started also and we’re really happy that we did not listen. There will always be room for a blog with quality content. Yes, there are a lot of blogs started every day, but 90% of bloggers quit in less than one year! So if you produce good content and stick with it, in a year, you will be in the top 10%. B. Do I need to travel all the time to have a travel blog? Not at all. There are plenty of travel blogs that write about weekend getaways or getting the most out of your vacation time. And there are travel blogs about round-the-world trips. There is a market for both types of blogs. C. Can anyone start a travel blog? Yes, as long as you enjoy traveling and sharing your experiences with others you can launch a travel blog. You don’t need to be technically inclined. This guide will get you started, and there are tons of great resources out there to help you learn more along the way. D. My trip has not started yet. Can I still start my travel blog? Absolutely! The smart thing to do is to start your travel blog while you are still at home. Starting a blog while traveling is not easy! We started ours while traveling and we wish we had done it before we went. You can blog about the preparations for your trip, packing, where you are going, etc. E. Do I have to blog in English? No, there are plenty of bloggers writing in their native languages. We chose English even though we are Norwegian, but we are not sure we made the right decision. It is easier to become an authoritative blog in a smaller market. Hopefully, you have your blog up running by now, following these five steps. If you have any questions or would like me to go through anything in more details, please let me know in the comment area below or shoot me an email! There are some WordPress Plugins that are very useful for bloggers, that I will cover in another blog post later, but now you are ready to start blogging! Best of luck! If you like this blog post on how to start a blog and find it useful, please share and like it on social media! Thank you so much! Found your blog through the Elegant Themes website and I can recommend their themes as well. I am running a different theme and their new Divi theme looks interesting. No, I am not an employee, just a satisifed customer. A dot com domain name is nice but there are many more TLDs to choose from these days. I just don’t think it is really that important to have .com when most of your traffic comes from search engines or online referrals. And I rather have a good domain name than have to settle for a .com with a name that may be hard to find. Great looking website! I’ll be browsing around for a while. It’s surprising the .us domain never really caught on like other country TLDs. Personally, I’d rather have a non .com domain for a personal blg as I am not a company. But most people never think twice about what .com actually means. Haven’t seen that CommentLuv plugin before but a nice addition for creating a network to other intersting blogs. Nice! Have to install that on mine as well. Thanks for giving your input! Yes, things are changing all the time, and I agree that the almighty .com domain is no longer such a necessity. However I still think that quite a few people, especially in the US, still assume a .com domain after a websites name. But yes it matters less if your traffic is mainly search or referrals. Some very successful websites are using other TLDs than .com these days. Congratulations on your excellent travel blog! I have been enjoying your stories and adventures through your clear and expressive writing style. As an online aficionado I agree with you about Elegant Themes, really top quality work, and amazing value. I have already gained some valuable information about the logo re-sizing CSS for the ‘Divi’ theme – which I am also using on a current project -so thanks very much. Thanks a million Michael!! Really happy that we could help you out on the logo size. We simply love Elegant Themes too. Take care! I started my travel blog 4 months ago, self hosted on WordPress, but still using a free theme. This week I finally setup an RSS feed and also joined Bloglovin’. I’m not even sure what I’m doing half of the time, but I seem to be going up the rankings and it’s quite fun too! Cool! We started our blog about a year ago, and still don`t know what we are doing half of the time, hehe. It is a lot to learn, but that is half the fun, learning new stuff. Keep up the good work and good luck with your blog! We are almost a year old now, and the more we learn, the more we realise how much we still have to learn, but it is all such fun, really. I’m playing around with server side stuff, like .htaccess files etc and Sabine is working with the layout on the front end. . So if you are reading this and wondering whether to start a blog or not, just make like Nike……and DO IT! I am so glad I came across your site! Thanks for sharing this information. I recently (a month ago) began my very first blog. It is http://www.live4inspiration.com. After 20 years in corporate America, raising a child (he is now 27, ahem! ), and living a responsible life, I quit my job and decided to live my life before I am too old to truly enjoy it. So, I began this journey with a blog to document my experiences. I am going to Bali for the whole month of November for a writing workshop with Mastin Kipp! Super excited about that. Anyhow, I am staying a couple nights in Sidemen to recover from the travel and then the remainder of the trip will be in Ubud for the workshop. I will definitely be blogging about my adventures. P.S. This is my first international trip ANYWHERE! Haha!! Here we go! Thanks again guys! Love the monkey story, btw!! Wow, congrats on starting your travel blog! It looks great! So cool that you are fulfilling your dream and that you are going on your first international trip! Yay, awesome! You will love Bali! Have a great trip! Looking forward to reading your blog posts from Bali. I have been thinking about setting up a blog for a while but never got around to it! With your simple guide I feel like I may actually be able to do it. Thank you. If you use this guide to set up your blog, please me know if any of the instructions are unclear. I’d be happy to help. Nicely written.. Helps a lot.. But my question would be how will it help after setting up earning through this? Like would there be Adsense account or anything else to be linked or registered or anything else to get the money flowing inn? Monetization is a huge topic and there are a lot of options. You mention Adsense and many bloggers are certantly using that and other forms of display advertisement with success. It’s not the only option though. Afiiliate programs such as for instance Amazon pay whenever you refer someone to their site and they make a purchase. You can also create your own products in the form of e-books and video courses to help you readers and market that through your blog. A blog is also a great portfolio for your skills and many people are leveraging their blog to promote their services as social media managers, freelance writers or similar. Like I said it is a huge topic so I can’t really go into it too much here, but we will for sure cover this more in detail at a later time. We are planning an itinerary for Sri Lanka and came across your site. We are both impressed with everything you do. We like to think we write good content (Jane’s an award-winning journalist by background) and have been going for 15 months, including writing about a 2 month round the world trip. But we’re just not getting the traffic. 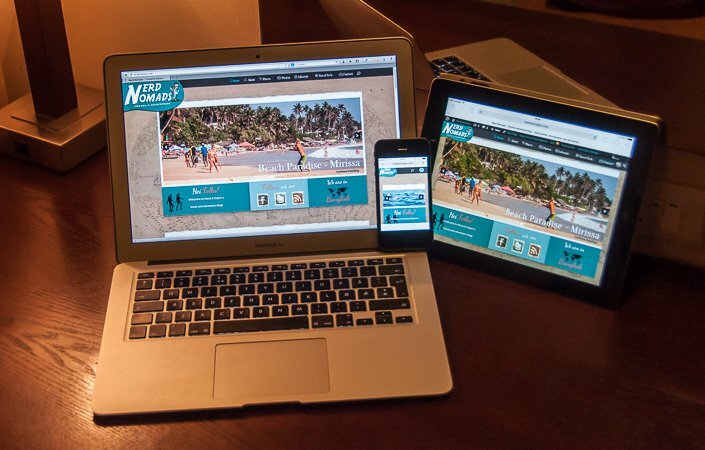 Reading your thoughts, we haven’t done 2 of your suggestions … we’ve got a .net domain and we are WordPress.com hosted. Do you think those two things are holding us back? We’d be really interested to hear what you think made the biggest breakthrough for you in terms of traffic. Oh … and we just love the Sri Lanka itinerary, which we may just go for unaltered! All the best and tusen takk! Just had a look at your blog, and it looks really nice! You write good articles. Content is king, as well as age, so keep writing good and in-depth articles where you put the reader in mind. Good luck with your blog! Hi! Planning a trip to Bangkok with my husband and loved the content on your site – well researched and lucidly explained (most impressed by the color-coded zones with things to do, etc). Appreciate your candor and originality. Keep it up! Thank you so much!!! So cool that you are visiting Bangkok! I`m sure you will love this awesome city! Hi! Do you recommend using WordPress.org or .com? Also, what is the difference between the two? We recommend self hosting, so WordPress.org. WordPress.com is not self hosted that is the difference between the two. At WordPress.com you don’t have to pay anything for hosting, it is free, but in the long run you will benefit more on self hosting. Happy blogging! Good luck with setting up your wordpress! Wow, I’m impressed! I like the information you shared and of course the photos! You’re a real professional and it’s really nice of you to share all these tips. I’ve downloaded your guides and ca’t wait to read them. I love travelling and wanted to learn how to start a blog and I’ve just landed in the right place. Thank you so much! Thank you so much!! 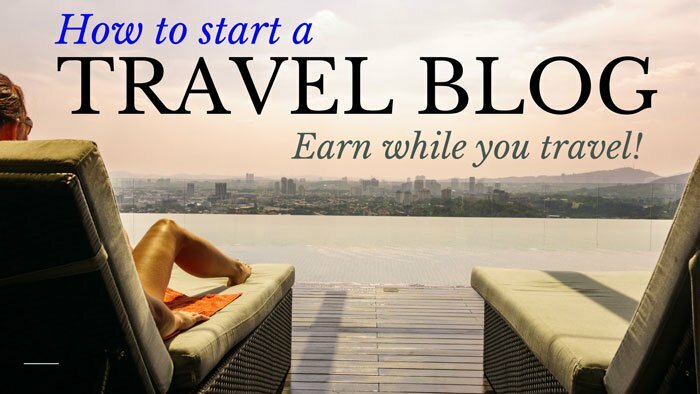 So glad to hear that this guide on how to start a travel blog could be an inspiration to you!